Thankfully, not every brand is considered “big” even if they’re owned by companies that might be. 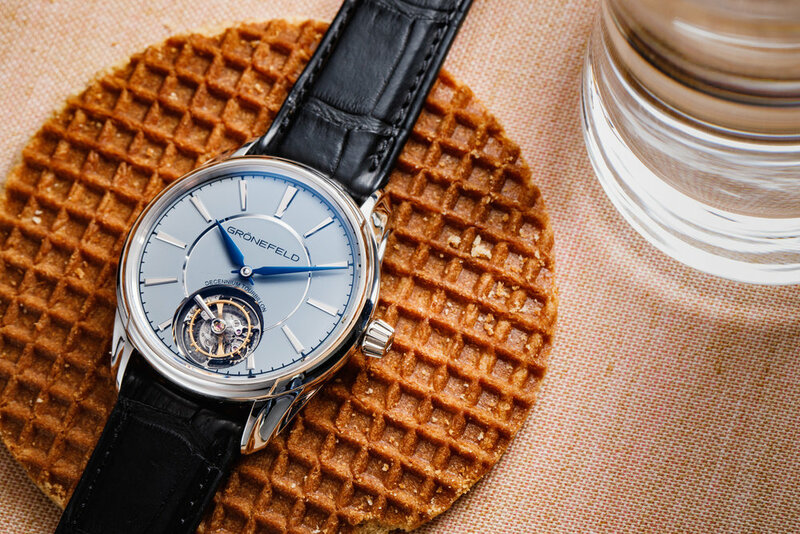 Independent brands such as Urwerk and De Bethune struck popularity gold (figuratively and somewhat literally) on social media with their releases, and respected artisan watchmakers such as Rexhep Rexhepi had their novelties written about extensively, which should make the industry stop and wonder whether the tide is turning and if the “Indies” are finally getting their day in the sun. 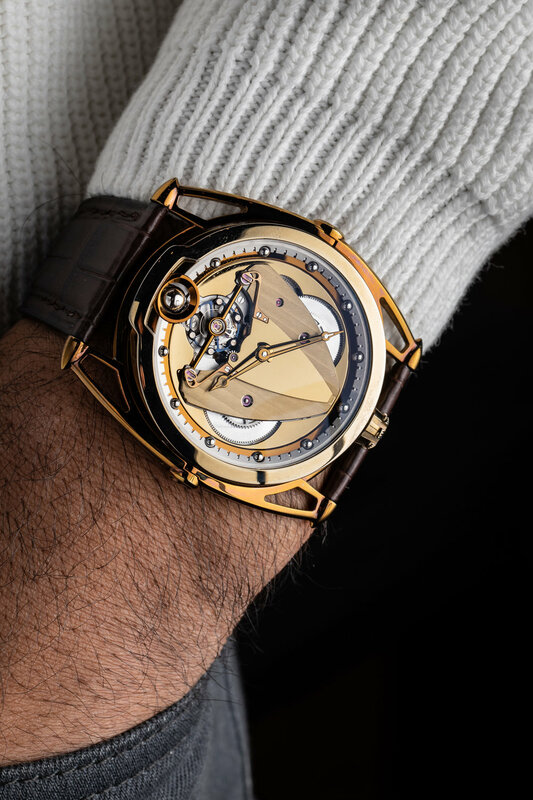 Bart and Tim Grönefeld unveiled the new limited edition 1941 Decennium Tourbillon complete with platinum case to celebrate the company’s ten-year anniversary. The 1941 series of watches pays homage to the Dutch brothers’ father who was born in the year 1941. Measuring 39.5 mm in diameter and adorned with a sterling silver dial, white gold crown, 22K yellow gold hand-decorated oscillating mass, and matte black alligator strap, the 1941 Decennium Tourbillon is much more than a timepiece that pleases our inner-engineer. Arnold & Son’s HM Perpetual Moon, created first in 2013, was released in a version with an aventurine dial for 2019. Inspired by explorers and adventures who used the moon and the stars to guide them, the limited edition 42mm watch contains the A&S1512 mechanical movement powering the watch’s functions and housed in an 18K red gold case and accompanied by a beautifully hand-stitched brown alligator strap. Probably one of the most photographed watches to be introduced in Basel this year, the DB28 Yellow Tones by De Bethune received rave reviews for its esthetics, and with good reason. Using a process similar to the one they used to develop the bluish-purple case on the previous DB28, the Yellow Tones timepiece gets even more creative with metal and fire, allowing for a “gold” watch that’s light on the wrist and easy on the eyes. 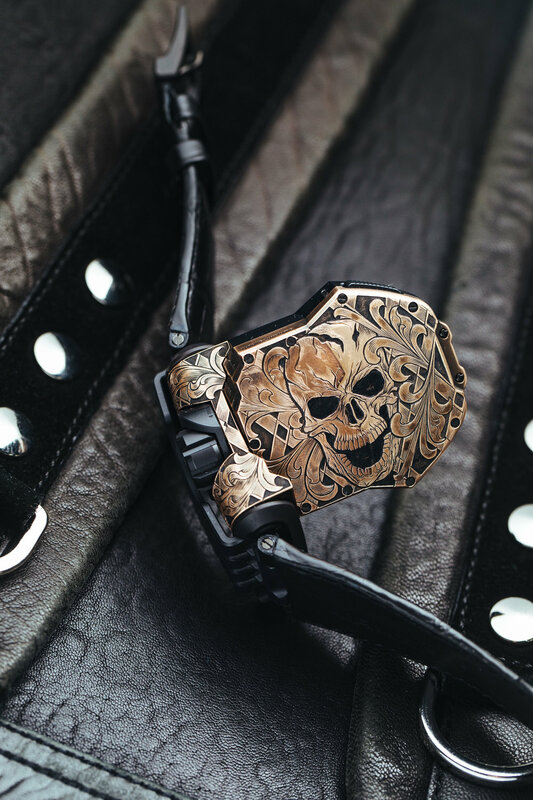 Known more casually as the “Urwerk King Nerd”, the Urwerk UR-T8 Skull is as horologically pleasing as it is decoratively stimulating. Johnny “King Nerd” Dowell’s skull and scroll engravings grace five limited edition UR-T8 timepieces, making them not only popular among Urwerk collectors, but also with those who enjoy a good ol’ out-side-the-norm timepiece that will strike up a conversation in most places at most times. Rexhep Rexhepi and his team were back at it again, only this time with a focus on the decoration. This year’s version of the Tourbillon Barrette-Miroir combines a variety of different techniques – hand-hammering, matte treatments, mirror polish – perfectly positioned so that the wearer is able to appreciate the craft of hand-finishing while admiring the beauty of that which the craft produces. And as with other editions of the Tourbillon Barrette-Miroir, precision timekeeping reigns supreme. We’ve got four words for you: FIVE-DAY POWER RESERVE. Want more? Multiple lightweight titanium components throughout. Skeletonized to show the inner workings. Water-resistant to 300 meters. 45mm case diameter. This is either a watch for a serious diver or one for a serious watch enthusiast. Or maybe you’re both. You could even be neither. Whatever floats your boat, this is a watch that looked and felt different from a lot of what we saw come out of Baselworld. Want to confuse your friends who are just now learning about high-horology? Tell them that Kari Voutilainen took what they would normally know to be true about the placement of a watch’s mechanics and flipped it. That oughtta hurt their brains. It is arguably the watch of the fair. The 28ti version of Kari’s Vingt-8 watch was very talked about once the Baselworld fair was over, with Reputable Online Watch Publications (ROWPs) referring to the watch as “cool” and “gorgeous” which – If you’ve read anything about what the Finnish watchmaker is capable of – is no more a stretch than saying the man, himself, is humble. It’s all a given. While there have been several tourbillons mentioned on this list, not one of them is made quite like the Klepcys Vertical Skeleton Tourbillon by up-and-coming independent watch brand, Cyrus. 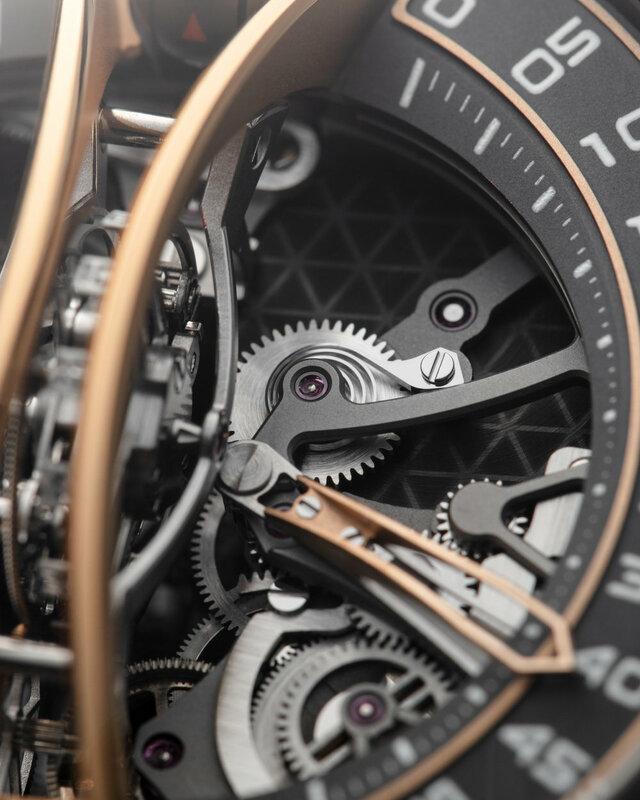 Repeating the mechanics first seen by many at the 2018 edition of Baselworld, Cyrus went the “full disclosure” route by introducing the watch in skeleton form. 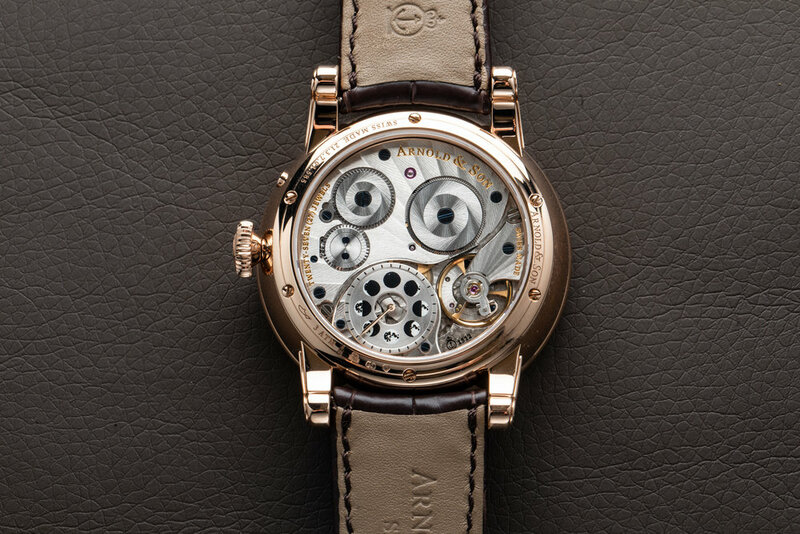 Jean-François Mojon originally had the idea to make a timepiece that would highlight the unique mechanism driving the watch – hence the vertical – but the skeletonization allows for an even better view of something which can also be seen as a true thing of beauty to those who appreciate horology.